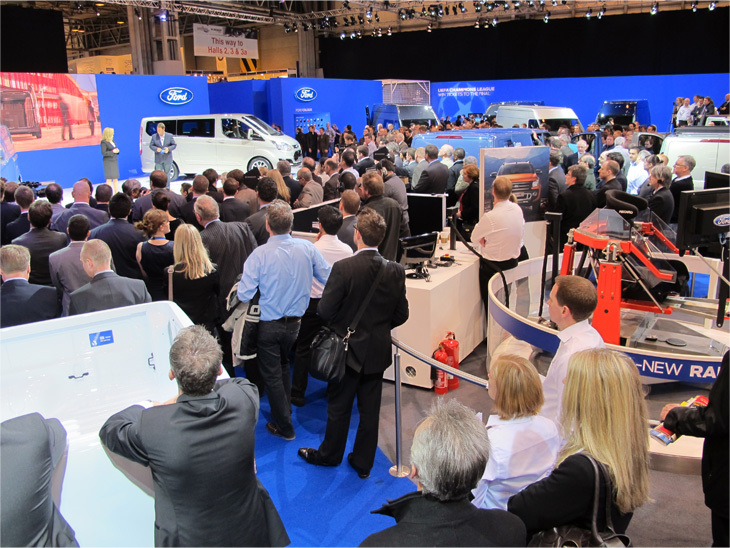 Looking back on yesterday’s launch of the new Ford Transit Custom at the CV Show, it highlighted the almost cult following of the brand in the UK. The stand was packed with press, fleet operators, business managers and potential private punters. 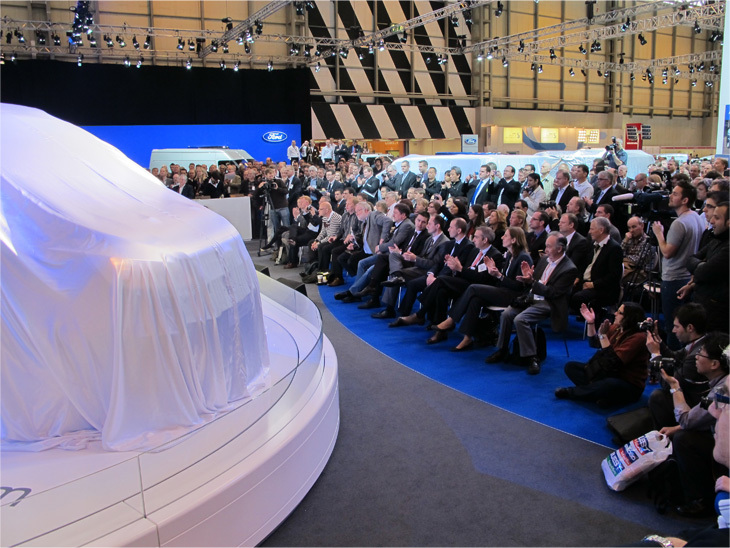 In fact a couple of colleagues mentioned that the presentation was better attended by more folk than at the Ford B-Max launch at the Geneva Show earlier this month. To put that in perspective, Geneva is a car show which attracts many more press and more punters while the CV show is a rather more specialised affair with only around 20,000 or so attendees over the three days. 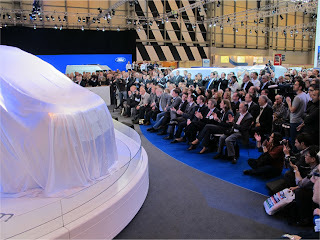 So to be compared with a big-time car press launch at a major European international event was really quite remarkable. Mike Brewer hosted the presentation along with Barb Samardzich, Vice President Product Development, who was over from Americky for the launch. And when the wraps were pulled off there was a groundswell of applause – thankfully no American style whoopin’ and hollerin’. As for the van itself it seems to have gone down well with most folks commenting favourably on the new looks and new cabin. But note the name – Ford Transit Custom. There’s more to come. 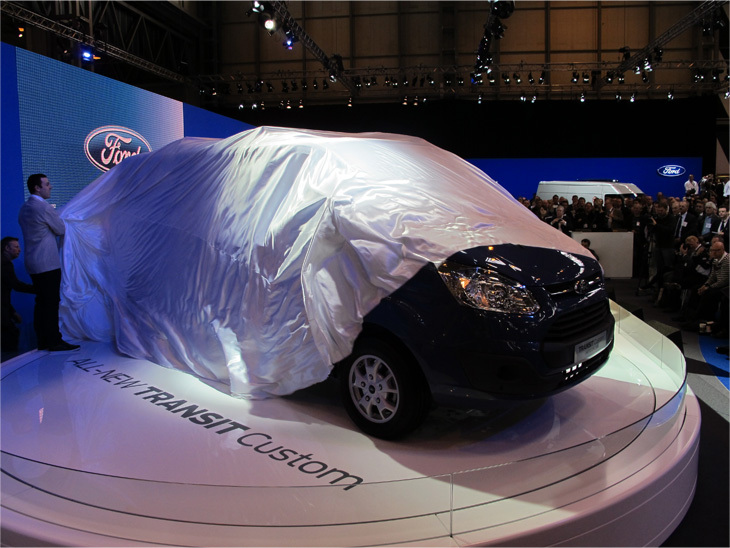 The ‘proper’ new Transit will be launched later this year. The 1 tonne Ford Transit Custom is an addition to the range, not a replacement. There is a bigger van on the way for the 2 and 3 tonne marketplace. That’s because the new Transit Custom will not be going to America, they need a bigger van to replace the aging E-Series vans over there and Ford want a ‘global’ van, one that will sell throughout the world. And therein lies the challenge, making a van appeal to all markets, all panel van users and to all personal tastes. Apparently the new Transit replacement has already been through several ‘metamorphoses’ and it’s still not signed off yet. Initial stylings displayed a family resemblance to the current range, later suggestions adopted the current ‘Kinetic’ styling as used effecively on the new Custom, and it would appear that the latest designs have undergone further changes and now looks nothing like either. Which only sharpens the appetite for the new van. One thing’s for sure, given the attendance at the launch of the new Custom and the following that the marque has here in the UK, Ford can’t afford to get this one wrong.